What does the Auditor General’s Report Mean for the Royal Military College of Canada? By now most of you will be aware that a report by the Auditor General (AG) was tabled in Parliament recently with regards to the Royal Military College of Canada (RMC). For those of you who have not read the report yet, we encourage you to do so because the AG has brought forward a number of actionable recommendations to help RMC improve and we need to pay attention to them. The AG Report can be found at http://www.oag-bvg.gc.ca/internet/English/parl_oag_201711_06_e_42671.html. This kind of review is not new for RMC. Over the years, there have been a number of studies that have examined the RMC programme and this is important to RMC because these studies have helped us remain relevant and continually improve. Such studies include the Withers Report (1998) and more recently the Maddison-Neasmith Report (2017). The Withers Report was strategically significant for RMC as it formalized the approval of the military relevant core curriculum for our undergraduate programme, a core curriculum that is directly connected to the Profession of Arms and one that is still in use today. The Maddison-Neasmith Report, which was a result of a Special Staff Assistance Visit (SSAV) directed by the Chief of the Defence Staff (CDS), identified a number of areas for improvement, all of which have been endorsed by the CDS. These recommendations are genuinely appreciated by RMC and we are encouraged that “the SSAV Team assesses that overall RMC is delivering on its mission of producing well educated officers to serve as leaders in the CAF.” The Maddison-Neasmith Report is significant because it has led to a reinvestment in RMC in areas that have been neglected for some time. Only eight months after the release of the Maddison-Neasmith Report, RMC has already actioned over half of the recommendations, including up-ranking many key leadership positions, reinvesting in language and fitness staff and the reinstatement of study/silent hours, to name but a few. Many of the recommendations, however, involve infrastructure and therefore final implementation of all recommendations is still expected to take some time, and are under review. National Defence should clearly define and strengthen its military training of Officer Cadets at RMC so that the training is relevant and practical and provides value to operational units. RMC should then integrate the improved military training with the academic education of Officer Cadets. National Defence should explore ways to reduce RMC’s operating cost per student and consider reducing the number of programs offered. National Defence should demonstrate and ensure that the higher standards of the ROTP-RMC are required, that they result in better qualified officers, and that the cost is reasonable. National Defence should clearly define the role of the Commandant as the executive authority for day to day operations and long term planning of all aspects of RMC’s operations, particularly the ability to oversee and integrate military training and academic programs. RMC should ensure that before senior Officer Cadets are appointed to leadership positions, they demonstrate high standards of conduct and ethical behaviour. RMC should ensure that military training staff have the proper skills and training they need to develop leadership skills among Officer Cadets. The responses from DND to the AG report are incorporated into the report itself. You will notice from the response that DND has accepted all the recommendations and that RMC is already moving forward on many of the recommendations stated above thanks to the great work done by the SSAV as recommended in the Maddison-Neasmith Report. Specifically, RMC has already begun to improve military training in the ROTP-RMC programme with a view to ensuring the appropriate balance between academic education and military training. The cost per ROTP student was highlighted as a concern by the AG and DND has committed to reviewing and validating the RMC costs and to making the institution as cost effective as possible given RMC’s assigned mandate and unique outcomes. DND does recognize and accept, however, that there is a premium associated with producing an RMC graduate; RMC does cost more but, with the 4 pillars that include academics, military leadership, fitness and second language, RMC also delivers more. While the AG estimates that RMC is twice as expensive as other universities in Canada, preliminary comparisons with other allied military institutions indicates that the costs per student are actually quite favourable. In terms of the AG concern for the value of the RMC programme, the evidence is readily demonstrated through the attraction, development, progression and retention for officers who enter the ROTP-RMC program. For example, 52% of current senior leaders in the CAF earned undergraduate degrees in Canadian Military Colleges (CMCs). This is statistically significant considering the intake of officers through the ROTP-RMC program is less than 25%. A recent internal study also showed that promotion and progression in the Canadian Armed Forces are 17% faster to the critical rank of Major/Lieutenant Commander for RMC graduates, compared with their peers from other officer commissioning plans. Furthermore, retention rates for RMC graduates are higher than their peers from other officer commissioning plans, based on historical data. This results in cost-avoidance of additional training to produce an officer to the same level of competency. Notwithstanding this information, the DND is committed to conducting a detailed analysis of these and other factors to demonstrate the value of the ROTP at RMC. The recommendation regarding the position of Commandant is consistent with the Maddison-Neasmith Report. Accordingly, the length of command tour for the Commandant has already been increased to three years, commencing with the current Commandant, in order to allow strategic continuity and management of the leadership and programmes within the unique and complex nature of the CMCs. DND also intends to review the governance of RMC since the Queen’s Regulations and Orders for the Canadian Military Colleges (QR Canmilcols) are not up to date and still include three military colleges, one of which is now a civilian university. To correct this governance issue, the Canadian Defence Academy will be conducting a review of the military colleges’ governance framework, which includes updating the QR Canmilcols and reviewing the Terms of Reference for the CMCs Boards of Governors. With regards to senior Officer Cadets appointed to leadership positions, key SSAV recommendations have already been implemented with an investment in leaders and mentors to guide the Officer Cadets through their leadership development, with the goal that they adhere to the highest standards of conduct and ethical behaviour. It is important to note, however, that the appointments to leadership positions are developmental opportunities. DND does agree that RMC needs to ensure that military training staff have the proper skills and training they need to develop leadership skills among Officer Cadets. This recommendation is consistent with the Maddison-Neasmith Report and RMC has already taken action and will continue to implement measures to make this happen. It was positive to see that the AG report recognized that, “RMC provided support and took disciplinary action when serious incidents were reported.” This is testament to the hard work and due diligence of Training Wing. We believe that a well-balanced programme across all 4 pillars at RMC is very achievable. In response to the recommendations articulated in the Maddison-Neasmith Report and in the AG Report, RMC is reviewing the entire complement of military training activities being delivered to cadets throughout the academic year and during the summer training period with the aim of increasing the types and number of training activities that are practical and militarily relevant. While adjustments are being made to ensure a reasonable balance is achieved, it is normal that there are times when academics take precedence over other activities and we are very pleased that the AG recognized the high quality of RMC’s academic programmes. As we all at RMC know very well, quality assurance for our academic programmes is governed by the Province of Ontario through the Institutional Quality Assurance Process (IQAP), which is administered by the COU Quality Council. To date all RMC programmes have been reviewed positively. RMC’s engineering programmes are additionally required to be accredited through the Canadian Engineering Accreditation Board (CEAB) under Engineers Canada. Accreditation of undergraduate engineering programmes is required because they provide the education necessary for licensure as professional engineers in Canada. Currently all six of RMC’s engineering programmes have been accredited for the maximum six-year period. Over and above the rigorous requirements of quality assurance and engineering accreditation, the RMC degree also delivers an education grounded in bilingualism and in the Profession of Arms through a core curriculum that must be taken by every cadet. RMC’s core curriculum has been delivered for many years and comprises approximately 30% of the degree requirement (i.e. history, psychology and leadership, math, sciences, languages) and was modeled on the core requirements of the US military academies. These core curriculum courses address military educational requirements to meet military knowledge fundamental for a career in the service; they take the place of a good deal of the normal ‘elective’ courses found at civilian universities. The Withers Report expounded on the utility of the well-rounded education RMC offers all the cadets; this is the basis on the education that RMC continues to deliver to this day. While the AG report focussed only on the ROTP-RMC program, there is so much more to RMC. RMC also delivers undergraduate education at a distance as well as graduate education in residence and at a distance. RMC’s undergraduate distance programmes include a Bachelor of Arts (BA) and a Bachelor of Military Arts and Science (BMASc). At the graduate level, RMC delivers masters and doctorate in Arts, Science and Engineering, including War Studies (MA and PhD), Science (MSc and PhD), Applied Science (MASc), Engineering (MEng and PhD), Business Administration (MBA), Public Administration (MPA) and Defence Studies (MDS). In addition to ROTP and other graduate and undergraduate programmes, RMC delivers specialty education such as the Non-commissioned Member Executive Professional Development Programme (NEPDP), Army Technical Warrant Officer (ATWO) programme, and the Army Technical Staff Officer (ATSO) programme. We also deliver many specialty short courses and capabilities, which includes a broad spectrum of technical education and support to technical investigations/research of operational significance to the CAF. Some of our research is sensitive or classified and is often conducted at RMC in direct support of operations. Proudly, we also deliver the Aboriginal Leadership Opportunity Year. RMC has unique research facilities such as a nuclear reactor, wind tunnels, an anechoic chamber, an observatory and a cyber lab, to name a few. Our professors conduct research and provide expert advice to support the needs of the CAF in many areas such as defence policy, cyber, Chemical, Biological, Radiological and Nuclear (CBRN), nuclear, Electronic Warfare (EW), space, ammunition, the environment, aerospace, critical infrastructure, political science, business and economics, English and French language, literature and culture, military studies as well as military history. So, what does the AG report mean for RMC? We believe that the AG report validated a number of the observations highlighted by the SSAV visit. The AG report reinforced that RMC needs to improve in a number of areas and follow through on the recommendations made in the Maddison-Neasmith report. It is important to keep in mind that RMC has a proud history that dates back over 140 years, inspiring Canadians and producing quality officers by delivering excellence in education, research and military training that is responsive to the needs of Canada, the Defence community and the ever-changing global security environment. We are extremely proud of our faculty, staff, and students alike and we are confident that working together as one team, we will respond to the challenges of the AG and posture RMC for continued success well into the future. Maddison, Neasmith, G.R. Maddison, D.G. 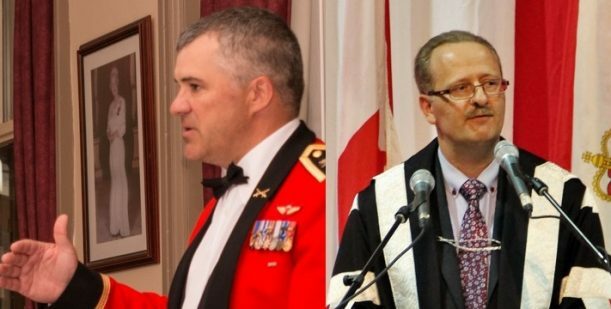 Neasmith, et al, “Special Staff Assistance Visit – Report on the Climate, Training Environment, Culture and Regular Officer Training Plan (ROTP) Programme at the Royal Military College of Canada – Kingston, 10 March 2017, online at https://www.canada.ca/en/department-national-defence/corporate/reports-publications/special-staff-assistance-visit.html, pg 52. Que signifie le rapport du vérificateur général pour le Collège militaire royal du Canada? La plupart d’entre vous savent probablement déjà qu’un rapport du vérificateur général (VG) sur le Collège militaire royal du Canada (CMR) a été présenté au Parlement hier. Nous encourageons tous ceux qui n’ont pas encore lu ce rapport à le faire, car le VG a formulé un certain nombre de recommandations concrètes afin d’aider le CMR à s’améliorer, et nous devons y porter attention. Le rapport du VG peut être consulté à http://www.oag-bvg.gc.ca/internet/Francais/parl_oag_201711_06_f_42671.html. Ce genre d’examen n’a rien de nouveau pour le CMR. Au fil des ans, des études ont examiné les programmes du CMR et ont aidé le Collège à demeurer pertinent et à s’améliorer constamment. Mentionnons notamment le rapport Withers (1998) et, plus récemment, le rapport Maddison-Neasmith (2017). Le rapport Withers s’est avéré d’une importance stratégique pour le CMR, car il a officialisé l’approbation du tronc commun militaire dans notre programme de premier cycle, un tronc commun qui est directement lié à la profession des armes et qui est encore utilisé aujourd’hui. Le rapport Maddison-Neasmith, publié à la suite d’une visite d’aide d’état-major spéciale (VAEM) demandée par le chef d’état-major de la défense (CEMD), a fait ressortir un certain nombre d’aspects à améliorer qui ont tous été approuvés par le CEMD. Le CMR apprécie vraiment ces recommandations et est heureux d’apprendre que « l’équipe VAEM spéciale estime que dans l’ensemble, le CMR remplit sa mission de bien former les officiers qui deviendront les leaders des FAC. » Ce rapport est important, car il a entraîné un réinvestissement dans des secteurs qui avaient été négligés depuis un certain temps au CMR. Seulement huit mois après la publication du rapport Maddison-Neasmith, le CMR a déjà donné suite à plus de la moitié des recommandations, dont le rehaussement du grade de nombreux postes clés de direction, le réinvestissement dans le personnel de formation linguistique et de conditionnement physique et le rétablissement des périodes d’étude, pour n’en nommer que quelques-unes. Cependant, étant donné que de nombreuses recommandations concernent l’infrastructure, leur mise en œuvre devrait prendre un certain temps, et sont examinés en ce moment. Le CMR apprécie aussi grandement les recommandations formulées dans le rapport du VG, lesquelles ont toutes ont été approuvées par le ministère de la Défense nationale (MDN). La vérification a porté sur deux aspects : si le CMR forme, à un coût raisonnable, des officiers de la qualité dont ont besoin les Forces armées canadiennes, et si le MDN veille à la bonne conduite des élèves officiers et du personnel du CMR. La Défense nationale devrait définir de façon claire et améliorer l’instruction militaire offerte aux élèves-officiers du CMR afin d’en assurer la pertinence et l’utilité pour les unités opérationnelles. Le CMR devrait ensuite intégrer l’instruction militaire améliorée au programme d’études générales des élèves-officiers. La Défense nationale devrait chercher des façons de réduire le coût par étudiant du CMR et envisager de réduire le nombre de programmes offerts. La Défense nationale devrait démontrer et s’assurer que les standards élevés du PFOR du CMR ont lieu d’être et produisent réellement les meilleurs officiers qui soient, et que le coût du programme est raisonnable. La Défense nationale devrait définir clairement le rôle du commandant en tant que responsable des activités quotidiennes et de la planification à long terme de tout ce qui touche les activitiés du CMR, notamment en ce qui concerne la supervision et l’intégration des programmes d’instruction militaire et d’études. Le CMR devrait veiller à ce que les élèves-officiers finissants aient démontré une conduite et un comportement éthique exemplaires avant d’être affectés à un rôle de leadership. Le CMR devrait s’assurer que les instructeurs militaires possèdent les compétences et la formation nécessaires pour être en mesure d’aider les élèves-officiers à développer leurs aptitudes de leadership. La réponse du MDN face au rapport du VG est incorporée à même le rapport. Vous remarquerez que le CEMD a accepté toutes les recommandations et que le CMR a déjà commencé à donner suite à plusieurs des recommandations susmentionnées grâce à l’excellent travail effectué lors de la VAEM spéciale, comme le recommandait le rapport Maddison-Neasmith. Plus précisément, le CMR a déjà entrepris d’améliorer l’instruction militaire offerte dans le cadre du PFOR en vue d’équilibrer de façon optimale les études générales et l’instruction militaire. Le VG avait également soulevé la question du coût par étudiant; le MDN s’est donc engagé à examiner et à valider les coûts du CMR ainsi qu’à optimiser la rentabilité de l’établissement en tenant compte de son mandat et de ses objectifs distincts. Le MDN reconnaît et accepte toutefois la valeur de la formation qu’offre le CMR; en effet, bien que son coût soit élevé, le CMR propose un programme des plus complet en quatre volets, à savoir : études générales, leadership militaire, conditionnement physique et enseignement de la langue seconde. Bien que le VG estime qu’il en coûte deux fois plus cher d’étudier au CMR que dans les autres universités canadiennes, les comparaisons préliminaires avec d’autres établissements militaires de pays alliés montrent que le coût par étudiant y est en fait plutôt avantageux. Quant à la valeur du PFOR, celle-ci se confirme par le l’intérêt qu’il suscite, par la progression des étudiants et par le taux de maintien en poste des officiers qui l’on suivi. Par exemple, plus de 52 % des hauts dirigeants actuels des Forces armées canadiennes détiennent des diplômes de premier cycle de collèges militaires canadiens (CMC). Ce taux est statistiquement significatif, compte tenu du fait que le taux de recrutement d’officiers par l’intermédiaire du PFOR est inférieur à 25 %. Une étude interne récente montre également que les diplômés du CMR parviennent 17 % plus rapidement au grade de major ou de capitaine de corvette que leurs pairs qui ont suivi d’autres programmes de nomination d’officiers. De plus, selon les données historiques, c’est parmi les diplômés du CMR que l’on retrouve les taux de maintien en poste les plus élevés. On évite ainsi d’avoir à débourser davantage pour former d’autres officiers de niveau de compétence égal. Cela dit, le MDN se penchera attentivement sur la question ainsi que sur d’autres facteurs afin de démontrer la valeur du PFOR du CMR. La recommandation concernant le rôle de commandant va dans le même sens que celle du rapport Maddison-Neasmith. Par conséquent, on a déjà augmenté la période d’affectation au commandement, qui est maintenant de trois ans. Cela renforcera la gestion et la continuité stratégiques du leadership et des programmes dans le contexte unique et complexe dans lequel opèrent les CMC. Le MDN entend également revoir la gouvernance du CMR, puisque les Ordonnances et règlements royaux applicables aux collèges militaires du Canada (OR [Colmilcan]) sont désuets et font encore mention de trois collèges militaires, dont l’un est maintenant une université civile. Pour corriger cette situation, l’Académie canadienne de la Défense passera en revue le cadre de gouvernance des collèges militaires et, ce faisant, mettra à jour les OR (Colmilcan) et révisera le mandat des conseils des gouverneurs des CMC. Pour ce qui est de l’affectation d’élèves-officiers finissants à des rôles de leadership, les recommandations formulées à la suite de la VAEM spéciale ont déjà été mises en œuvre, comme en fait foi la nomination de mentors ayant le mandat de guider les élèves-officiers dans le développement de leurs aptitudes de leadership tout en veillant à ce qu’ils démontrent une conduite et un comportement éthique exemplaires. Il est toutefois important de noter qu’une affectation à un rôle de leadership représente une occasion de perfectionnement. Le MDN est d’accord avec la recommandation selon laquelle le CMR doit s’assurer que ses instructeurs possèdent toutes les compétences et la formation adéquates pour pouvoir développer leurs aptitudes de leadership auprès des élèves-officiers. Cette recommandation concorde avec celle du rapport Maddison-Neasmith et le CMR a déjà commencé à mettre en place des mesures pour y répondre. Dans son rapport, le VG a par ailleurs souligné que le CMR offre le soutien nécessaire et impose des mesures disciplinaires appropriées lorsque des incidents graves lui sont signalés. Cette affirmation témoigne bien des efforts et de la diligence de l’Escadre d’instruction. Nous croyons qu’un programme bien équilibré à l’échelle des 4 volets est réalisable au CMR. Pour faire suite aux recommandations formulées dans le rapport Maddison-Neasmith et dans celui du vérificateur général, le CMR examine l’ensemble des activités d’instruction militaire offertes aux élèves‑officiers pendant l’année universitaire et durant les périodes d’instruction estivale dans le but d’accroître les types et le nombre d’activités d’instruction qui sont pratiques et pertinentes sur le plan militaire. Des réajustements sont faits pour atteindre un équilibre raisonnable, mais il est normal que les études priment parfois sur d’autres activités, et nous sommes très heureux que le vérificateur général reconnaisse la grande qualité des programmes d’études du CMR. Comme nous le savons tous très bien au CMR, l’assurance de la qualité de nos programmes d’études est régie par la province de l’Ontario au moyen du Processus d’assurance de la qualité de l’établissement, qui est administré par le Conseil de la qualité du Conseil des universités de l’Ontario. Jusqu’à maintenant, tous les programmes du CMR ont fait l’objet d’examens favorables. Les programmes de génie du CMR doivent de plus recevoir l’approbation du Bureau canadien d’agrément des programmes de génie (CEAB) qui relève d’Ingénieurs Canada. L’agrément des programmes de génie de premier cycle est nécessaire parce qu’ils offrent l’éducation requise pour l’obtention du permis d’exercer en tant qu’ingénieur au Canada. À l’heure actuelle, les six programmes de génie de CMR ont été approuvés pour la période maximale de six ans. En plus des exigences rigoureuses de l’assurance de la qualité et de l’agrément des programmes de génie, le grade du CMR permet aussi d’offrir une éducation fondée sur le bilinguisme et la profession des armes au moyen d’un programme d’études de base que chaque élève-officier doit suivre. Le programme d’études de base du CMR est offert depuis de nombreuses années, comprend environ 30 % des exigences du grade (c.‑à‑d. histoire, psychologie et leadership, mathématique, sciences, langues) et a été conçu selon le modèle des exigences de base des écoles militaires américaines. Ces cours du programme d’études de base répondent aux exigences militaires en matière d’études permettant d’acquérir les connaissances militaires fondamentales à une carrière militaire; ils remplacent bon nombre des cours normaux « au choix » des universités civiles. Le rapport Withers a expliqué l’utilité de l’éducation bien équilibrée offerte par le CMR à tous les élèves-officiers; cela constitue le fondement de l’éducation que le CMR continue d’offrir aujourd’hui. Le rapport du vérificateur général s’intéresse seulement au PFOR, mais le Collège offre beaucoup plus, notamment des programmes d’études de premier cycle à distance ainsi que des programmes d’études de deuxième cycle sur place et à distance. Les programmes de premier cycle à distance du CMR comprennent le baccalauréat ès arts (B.A.) et le baccalauréat ès arts et sciences militaires (BAScM). Au deuxième cycle, le CMR offre des programmes de maîtrise et de doctorat en arts, en sciences et en génie, dont les suivants : études sur la guerre (MA et Ph. D.), sciences (M.Sc. et Ph. D.), sciences appliquées (M.Sc.A), génie (M.Ing. and Ph. D.), administration des affaires (M.B.A.), administration publique (M.A.P.) et études de la défense (MED). En plus du PFOR et d’autres programmes de premier et de deuxième cycles, le CMR offre des formations spécialisées comme le Programme de formation de qualification professionnelle pour les militaires du rang (PFQPM), le Programme d’adjudant technique de l’Armée (PATA) ainsi que le Programme d’état‑major technique de l’Armée (PEMTA). Nous offrons aussi bon nombre de capacités et de cours spécialisés de courte durée, dont un large éventail d’enseignement technique et de soutien à l’appui de recherches et d’enquêtes techniques ayant une importance opérationnelle pour les FAC. Une partie de nos recherches sont sensibles ou classifiées et sont souvent menées au CMR pour soutenir directement les opérations. Nous sommes également fiers d’offrir le Programme d’initiation au leadership à l’intention des Autochtones. Le CMR est doté d’installations de recherche unique, notamment un réacteur nucléaire, des souffleries, une chambre anéchoïque, un observatoire et un cyberlaboratoire. Nos professeurs mènent des recherches et offrent des conseils éclairés à l’appui des besoins des FAC dans bon nombre de sphères, dont les domaines cybernétique, CBRN (chimique, biologique, radiologique et nucléaire), nucléaire, spatial environnemental et aérospatial, ainsi que dans les disciplines suivantes : politique de défense, guerre électronique, munitions, infrastructures essentielles, science politique, affaires et économie, langues anglaise et française, littérature et culture, études militaires et histoire militaire. Que signifie donc le rapport du vérificateur général pour le CMR? Nous croyons qu’il valide un certain nombre d’observations formulées lors de la visite d’aide d’état-major spéciale. Le rapport du vérificateur général confirme que le CMR doit apporter des améliorations dans un certain nombre de domaines et qu’il doit donner suite aux recommandations énoncées dans le rapport Maddison-Neasmith. Il est important de garder à l’esprit que le CMR, dont la fière histoire remonte à plus de 140 ans, est une source d’inspiration pour les Canadiens et forme des officiers de qualité en offrant l’excellence en matière d’éducation, de recherche et d’instruction militaire afin de répondre aux besoins du Canada, de la communauté de la Défense et du contexte de sécurité mondiale changeant. Nous sommes extrêmement fiers de notre corps professoral, de notre personnel et de nos stagiaires et nous sommes certains qu’en travaillant ensemble en équipe, nous saurons relever les défis du vérificateur général et assurer le succès durable du CMR pour de nombreuses années. G.R. Maddison, D.G. Neasmith, et coll., « Visite d’aide d’état-major spéciale – Rapport sur le climat, le milieu d’instruction, la culture et le programme de formation des officiers – Force régulière (PFOR) au Collège militaire royal du Canada – Kingston », 10 mars 2017. Internet : https://www.canada.ca/fr/ministere-defense-nationale/organisation/rapports-publications/visite-aide-speciale-etat-major.html, p. 58.